HOW LONG WILL THE TATTOO REMOVAL PROCESS LAST? Shore Vascular & Vein Center Blog HOW LONG WILL THE TATTOO REMOVAL PROCESS LAST? “How many sessions will it take to remove my tattoo?” This is one of the most common questions that people ask when they consider laser tattoo removal. Unfortunately, answering this isn’t easy since every tattoo is unique. Anyone can look at a tattoo and measure the size and notice the colors. However, factors that are not known are what substances are in the ink that was used to create the tattoo and how deep the ink was injected. The type of laser used to remove a tattoo is one of the most important factors in obtaining the best possible result. Picosecond lasers, such as the enlighten laser used at Shore Vascular & Vein Center provide the most complete results in the fewest number of treatments for most tattoos. These are just some of the factors that can affect the number of treatments you’ll need. To learn more, schedule an appointment with us here at Shore Vascular and Vein Center. 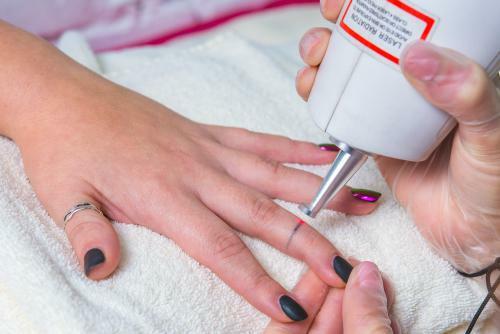 We specialize in laser tattoo removal in the Atlantic County, Cape May County, Camden County, Cumberland County and Ocean County NJ area and can help you remove your unwanted body art within the shortest amount of time.